I’ve been a huge fan of chocolate for as long as I can remember. I love it as a special treat in whatever form it is presented to me – as a bar of chocolate to be nibbled on secretly away from the prying eyes of my kids (yeah yeah! I have a secret stash in my kitchen!) or a warm slice of chocolate cake or brownie to dig into. The happiness that I derive when I sip a cup of hot cocoa during the winter months or discover some choco chips in the pain au chocolat that I often buy from the Carrefour bakery (Oh! I love their goodies!) is something else. In many ways it takes me back to my childhood and I am flooded with many happy memories. Over the past few months, every time I sifted through the Bread Bible (by Christine Ingram and Jennie Shapter) I came across this lovely, tall, deep brown loaf in a pitch black background staring back at me. I called it the ‘Tall, Dark & Handsome’ bread of the lot :-). The composition of this picture was so simple yet inviting that I always promised myself that I would bake it as a treat to myself. Late last year when it was time to pick themes for this year I volunteered to host for the month of March and I couldn’t think of a better theme than Cocoa. Now, cocoa has a few substitutes such as the carob which I had never heard of till late 2014 when I saw a pack of carob powder at the organic farmer’s market. 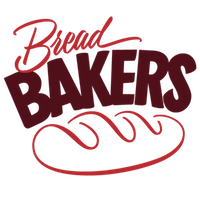 I decided that it would be great if I gave my fellow bread bakers the choice of cocoa, carob and cacao to be incorporated in whichever form they’d like (as a topping or kneaded into the dough) and I got a whopping list of breads that are waiting to be showcased today! I am so pleased! Thank you everyone for participating! Do scroll down to the bottom of the page to see what everyone has baked today! Cacao on the other hand is derived by cold-pressing unroasted cocoa beans to remove cocoa butter. Although it looks the same as cocoa it is not. Cocoa powder is raw cacao that’s been roasted at high temperatures. While cacao and cocoa are derived from the same tree, carob comes from a completely different tree known as the ‘Ceratonia siliqua’ which is also commonly known as the carob tree, St Johns-bread or locust bean. The dried pods are then powdered into carob powder which can be easily substituted for cocoa but is more expensive and available at select health stores. In Malta, a traditional sweet called the ‘il-karamelli’ is made from carob eaten during Lent and Good Friday. They are deemed to be the only sweets allowed during Lent as they are believed to have medicinal properties! What I loved about this bread was that it was super soft and cottony! The texture was almost like that of the bread we used to buy from the bakery in our neighbourhood back in Mangalore. 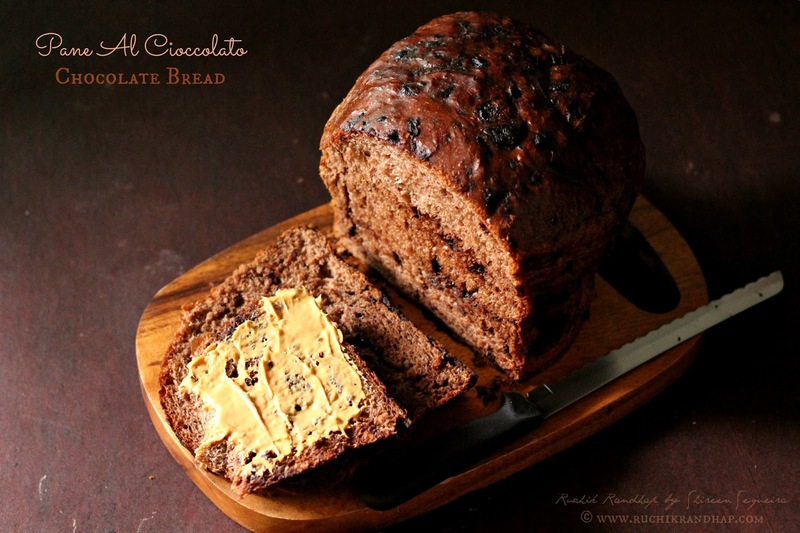 I can’t wait to try out the same recipe minus the cocoa for a regular loaf. Perhaps I will shape it into a proper loaf using a loaf pan. 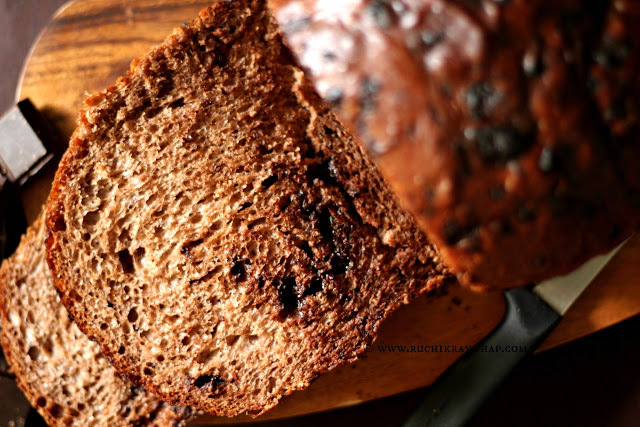 The best part about this bread is that it is not too sweet, so it doesn’t taste like a chocolate cake just in case you are wondering! The subtle bits of sweetness comes from the chocolate pieces hidden inside. The bread tastes brilliant with Nutella although I ran out of it when I was clicking pictures so I went ahead and used peanut butter! Since I had a huge loaf of bread on my hands I went ahead and converted it into a bread pudding the next day! I can’t tell you how wonderful that tasted!! 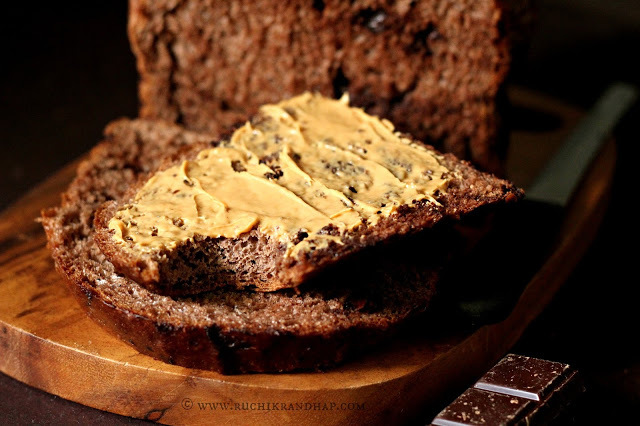 So go ahead, make this bread and simply indulge in some chocolate goodness! 1. Grease and line the base and sides of a 6″ (15cm) round baking tin, preferably a deep one. If it isn’t so deep just line the sides tall (with extra parchment that overlaps the sides in order to give it a tall look). 2. Place the yeast in a small deep bowl, add about 2 tablespoons tablespoons of water and 1 teaspoon of sugar. Cover with cling wrap or a lid and keep in a warm place till the yeast froths up, about 10 minutes. If the mixture doesn’t look frothy, the yeast is old and useless. Discard it and start again with a new package of yeast. 4. Tip the dough onto a lightly floured surface and knead the butter into it gradually until the dough is soft and pliable. Place the dough ball into a lightly oiled bowl and turn it over gently till it is well coated with the oil. Cover with a cling wrap and leave it in a warm place to double, anywhere between 1-2 hours depending on the weather. You can leave it in an oven with the light on. 6. Shape the dough into a round and place it in the prepared baking tin and cover it again with the cling wrap. Let it rise for another 45 minutes to 1 hour or until risen to the top of the tin/overlapping baking parchment. 7. Preheat oven to 220 C and bake the bread for 10 minutes. Reduce heat to 190 C and bake for another 25-30 mins. Remove and brush the top with the melted butter. Let it cool completely on a wire rack. Slice and serve with butter, jam/marmalade or nutella. The yeast is 1 1/2 tbsp or tsp? A stunning bread and I can see why you would want to bake it after seeing it in the book. Thanks so much for hosting this month and choosing such a tasty theme! What a lovely loaf, Shireen! The lighting on those photos is beautiful too. I ended up making bread pudding with part of mine as well. That's the beauty of a big loaf! The texture does look amazing on your bread! Thank you for hosting! Shireen, this was a challenge after my own chocolate loving heart! I never knew what carob actually was so appreciated that information. Thank you for hosting this month and for sharing one beautiful loaf of bread. I sincerely hope you will post the bread pudding too or send me a copy of it? That sounds amazing! Shireen thanks for selecting the theme . 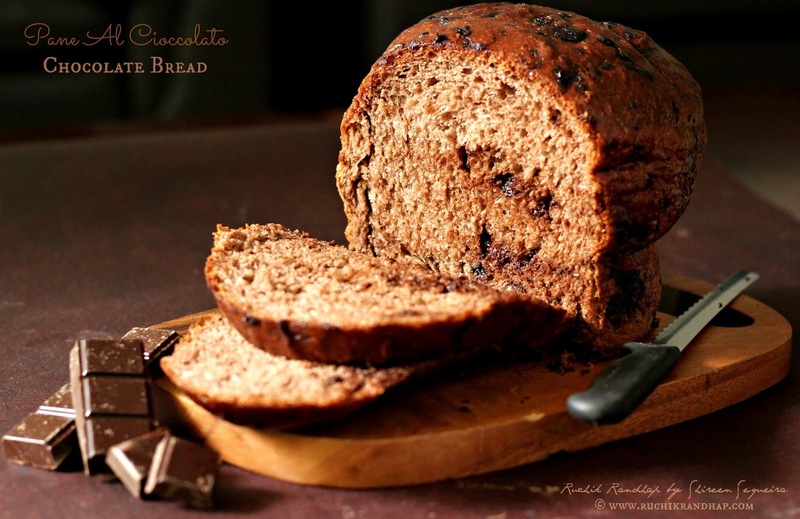 Your bread with the melted chocolate shavings looks great……. Shireen I cannot believe how fabulous your Chocolate Bread turned out to be. When I did the last bit of my post at my friend Manju's place, we both let out a resounding Woooow seeing your Bread. Fabulous Shirs…and thank you for hosting such a lovely theme. I have never heard of a baking tin. I have heard of making bread like this in a coffee can but have never tried it. I will have to give this a shot though because it is so impressive. Shireen, thanks for being such a wonderful hostess for the event! And yes, this bread looks super gorgeous 🙂 Awesome. Thank you so much for this challenge! Your bread looks so amazing! You did a wonderful job as host! Shireen, thanks for the wonderful theme. End of this month,my friend's got guests coming to stay at her place and has asked me bake a couple of breads that she can serve in the morning. I may try your recipe as it doesn't appear too sweet. Carob is usually used by people who want to follow a totally caffeine free diet. First of thanks for picking such an amazing theme for this month. Second your bread looks absolutely irrestitible. Love how tall and beautiful it looks. Bookmarked!! I love the height of this bread, the gorgeous colors! Loved the challenge, Shireen. Thanks for a great challenge! OMG! 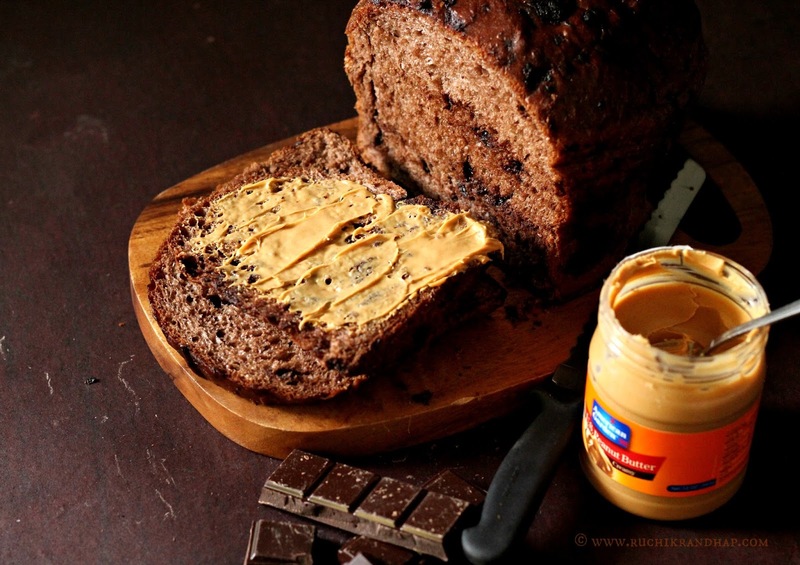 This bread looks so amazing and chocolaty. Hi Maria, for an OTG you need to use the mode which heats up only the bottom heating rod. 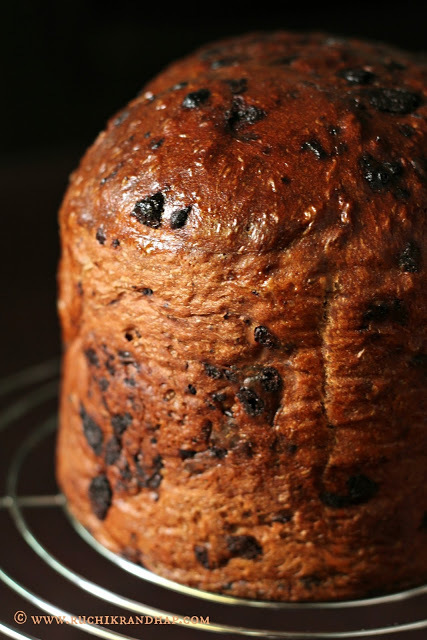 I had tried baking with both top and bottom heated and all my cakes used to burn into charcoal. However, the make and model of your OTG may vary. I had a 16 litre Bajaj OTG in which i baked successfully using only bottom rod heated. Above the rod pls place the crumb tray. Always preheat oven for 15 mins. Hope this helps! thank you very much shireen, i half expected the two rods for grilling – by your earlier mistake, it would seem so. Do you use this mode for all types of bakes including breads and cookies?does it require a fan while baking? Why can't these manufacturers make things clean and simple. Anyway, pl let me know at the earliest. Thankyou once again. btw, whats happened to the veggie and meat section? @ Maria: For grilling just keep the top rod heated. For baking keep only the bottom rod heated. If you want to toast bread then keep both rods heated but keep an eye out as it doesn't take long for the toast to burn. Secondly, these instructions are applicable for an OTG size of 16 litres approx (which is what I had). I have no idea about bigger ones. hi, thanku for an early reply… i have a 15ltr one, so i think i'll be ok if i follow your instructions. Its been a while since you posted something on the veggie and chicken front (except paneer, its ok-i like paneer). Mloreans use dhal in their veggie curries, can you help me with that, pl. thanks for undersanding, maria. @ Maria: All the best with the oven! I hope you enjoy baking in it! I have been a little busy at home so unable to post new recipes! I have some dhal based veg curries on the blog, please do check my veg recipe index! thankyou once again for your help.